Purpose-built holiday resort: Developed from the marina since 1974, Vilamoura holidays boast one of Europe’s largest purpose-built resorts. It covers an impressive 20 square kilometres, and includes six golf courses, a casino and a pretty marina within its area. Golfing holidays: As we mentioned, when it comes to golfing holidays Vilamoura offers some of the best holidays in the whole of the Algarve. That’s because there’s a choice of six golf courses nearby, with varying degrees of challenge to cater to all levels. Roman ruins of Cerro da Vila: Located in the heart of Vilamoura holidays, these ruins are the remnants of a complex system of Roman baths and salt tanks dating to the 1st century AD. The intricate mosaics found here are of the greatest interest though, as their artistry gives a valuable insight into daily Roman life. On this same site, you’ll also come across old Islamic silos and funeral towers. Vilamoura Riding Centre: Great fun for the whole family, this riding centre offers the perfect way to explore the lush countryside which surrounds Vilamoura holidays. It’s also exciting to interact with the well-tended horses, especially when they speed up to a quick trot! The Old Course: As the name suggests, this golf course is the oldest of all those situated on Vilamoura holidays. Created in 1969, it has a similar layout to large British courses with a good degree of challenge. It has even attracted the attention of the professionals and has been used in a number of tournaments, including the Portuguese Open. The holes largely consist of long green fairways, huge overhanging trees and open sandy bunkers. Pinhal Golf Course: Created in 1976 by the same designer as the Old Course, Frank Pennink, the Pinhal also has a rather tough difficulty level. This is particularly highlighted by the small size of the greens, making pitching pretty difficult! In an elevated position, the course also offers fantastic views of the Atlantic Ocean to enjoy on Vilamoura holidays. Praia de Marina: This utterly attractive slice of sand has much in common with other beaches on Algarve holidays. That’s because it has the same lightly golden sand, and more impressively the towering rock formations found in many beaches here. The craggy, shrub-covered cliffs make for an impressive sight whilst you’re sunbathing on your Vilamoura holidays. Praia de Oura: This wide expanse of golden sand is one of the most beautiful beaches you’ll see on your Vilamoura holidays. In just a short walk from the centre of Albufeira, you could be enjoying the warm turquoise sea and secluded shady caves of this unique beach. Olhos de Agua: Another golden stretch of coastline that’s pretty close to Albufeira, around 7km from Vilamoura holidays. It’s well worth taking a trip here during your holidays as there are lots of fun water sports available out to sea, including banana boats and jet-skis. Braganca Mar: This warm and friendly restaurant offers both inside and outside dining, so you can enjoy the sun on the terrace during the hot summer holidays. The menu is a good mix of classic favourites like prawn cocktail, steak pie and chicken kebabs, but the real speciality here is the desserts: lovingly crafted cakes with colourful sauces artfully presented. Casa do Pescador: Although it’s hidden away on a quiet street a little further away from the marina, make sure you search for this restaurant during your holidays in Vilamoura. Caso do Pescador has a particular focus on seafood, offering fantastically fresh fish caught locally. Zu Yi: This quality restaurant offers a wide variety of Chinese cuisine. Have a meal here and you’ll be able to try all sorts of dishes, from traditional Dim Sum to takeaway style chicken curry and beef in black bean sauce. The food is great value if you’re aiming to have cheap holidays too. Marina bars: Most of the nightlife on Vilamoura holidays is focused around the pretty marina in the centre of town. Golfing holidays are well catered for on Vlilamoura holidays, and this even extends to bars such as Hole in One which features all sorts of golf memorabilia. Continuing on a sports theme, Bar Sete has a strong football focus, particularly on the legendary Portuguese player Figo (it’s part-owned by him!). The Irish Bar has a warm atmosphere and live music most nights too. And that’s not forgetting Vilamoura Casino, which features glitzy evening entertainment as well as plenty of gambling rooms. Boutique shopping: In keeping with the resort’s pristine, upmarket style, there are plenty of modern fashion boutiques and shops selling designer labels on Vilamoura holidays. Near the marina, you’ll also come across a clean, modern mall which features a wide range of international brands. And if you want even more choice, you could always head 10km to the pretty mountain village of Loule, as there’s a vibrant market held there every Saturday. 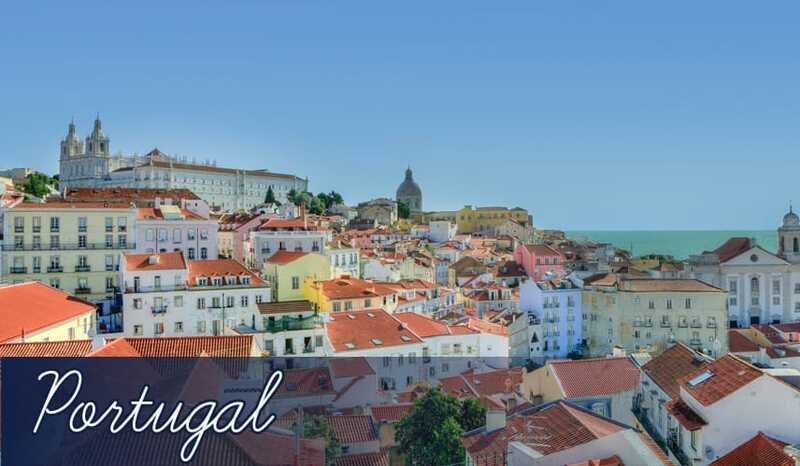 Plus Albufeira is less than 15km to the west of Vilamoura holidays, and it has two main commercial streets and a huge shopping centre with over 60 shops, a large food court and 6 cinema screens.